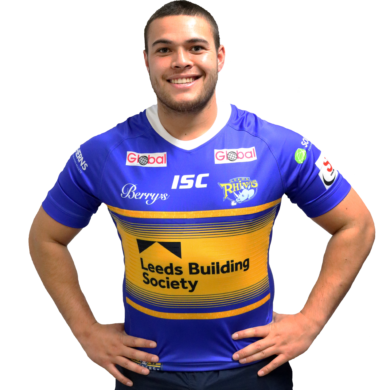 Tongan international half back Tuimoala Lolohea says the memory of playing in front of the Leeds Rhinos faithful back in 2015 with New Zealand was a big factor in his decision to sign for the Rhinos on a three-year contract from 2019. Lolohea was part of the New Zealand squad who played the Rhinos at Emerald Headingley prior to the Kiwis taking on England in a three-game series later in the tour. He joined Wests Tigers midway through the 2017 season from the Vodafone Warriors and has made 71 appearances in the NRL. He was Wests Tigers top points scorer last season but has been restricted to just six appearances this season due to injury. He has shown his versatility this season by switching to full back for the Tigers however he returned to his favoured half back role with the Tongan side for their recent win over Samoa. He opted to play for Tonga for last year’s World Cup following his father’s heritage despite having previously gained a cap for New Zealand in 2015. He now has four caps for Tonga including World Cup semi final with England in Auckland last year when Tongan nearly caused one of the biggest upsets in the game’s history having already defeated New Zealand earlier in the competition. The team’s achievements resulted in Lolohea going back to his home village, Lapaha, located in a small town called Mu’a, and the same village Tongan superstar Jason Taumalolo hails from. The pair have since been honoured as two of six players to have the nation’s rugby league competitions named after them. The under-13s Cup is now known as the “Tuimoala Lolohea Cup”.